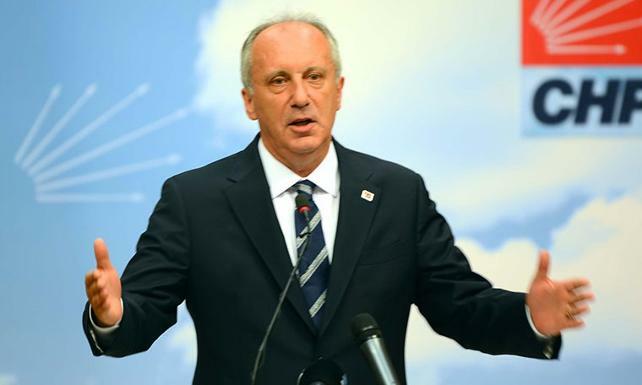 The main opposition Republican People’s Party (CHP) presidential candidate Muharrem İnce is resuming his nation-wide tour which began during his campaign trail in the run up to the June 24 presidential and parliamentary elections, secular Cumhuriyet daily reported. İnce, who trailed behind Turkish President Recep Tayyip Erdoğan with 30.7 percent of the vote in last month’s presidential elections, has been lauded for running a spirited campaign. The candidate is set to leave for the Eastern province of Erzurum for the first leg of this his first post-election tour, Cumhuriyet said. CHP’s inner-party debates have been in Turkey’s spotlight following CHP’s upset at the polls with İnce stressing that he has no plans to run against the party’s chairman Kemal Kılıçdaroğlu or be his competitor. The CHP, which has not won a general election since 1977, is set to discuss party strategy ahead of Turkey’s local elections slated for March 2019.